You can soften and stretch your leather coat or jacket at home. Leather jackets are a coveted and costly item of clothing. But nothing upgrades your wardrobe like wearing a great leather bag, pair of shoes or a jacket. If you have an old jacket that has shrunk or hardened, you may not be willing to part with it. To revitalize this garment, you can soften and stretch it out; until it's as good as new and ready to be worn again. Wear your leather jacket often. Leather naturally conforms and molds to your body when worn regularly. Wear it around the house for a few hours a day to help stretch out the leather jacket and reshape it to comfortably fit your body. Wear a few layers of clothing underneath it to help the leather jacket stretch out even further. Take it to a professional. A person who has experience working with leather will be able to condition it to make it softer and more pliable. Certain conditioning products are used to stretch out the leather without damaging it. This is a good idea if you're afraid of conditioning the leather yourself. Gently tug on the leather jacket on a daily basis. Use your hands to gently pull on the sleeves, shoulders and lower half of the jacket a few times a day. Leather is extremely pliable, but it must be worn, tugged at and pulled in order to change shape. Use a leather conditioner. 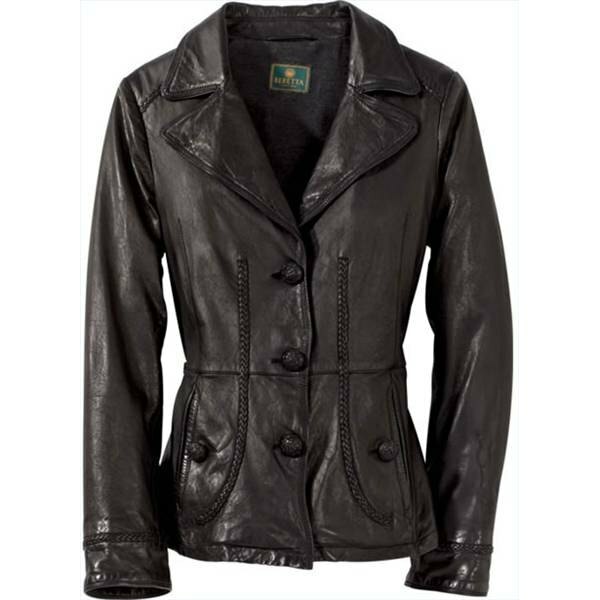 Apply the conditioner to the leather jacket and gently knead it with your hands. This will cause the leather to expand and soften. As it softens, the leather fibers will begin to stretch. You may have to do this every day for about a week for best results. Leather conditioners can be purchased at any leather store; Lexol is a brand used by professionals. Use beeswax instead of a leather conditioner to help soften and stretch out your leather jacket. Don't use olive oil as a softening product; it may stain the leather.